Prominent & Leading Manufacturer from New Delhi, we offer energy saving servo system. To net propelling demands of the market, we are offering a wide array of Energy Saving Servo System. 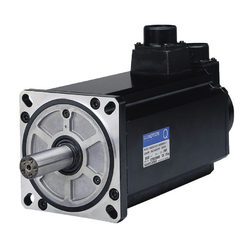 Our offered motor is manufactured by using the quality raw material in accordance with industry norms. In addition to this, the given motor is passed through a series of testing procedures under the supervision of our quality controllers. We offer this motor in various specifications to choose from. Looking for Energy Saving Servo System ?